Mitsubishi, a maker of the Zero fighter, took a step toward reclaiming Japan\'s one-time status as an aviation power Wednesday with the maiden flight of its regional jet. The aircraft took off in the central Japanese city of Nagoya, as seen in a live webcast. Mitsubishi, a maker of the Zero fighter, took a step toward reclaiming Japan's one-time status as an aviation power Wednesday with the maiden flight of its regional jet. The aircraft took off in the central Japanese city of Nagoya, as seen in a live webcast. The flight was due to take an hour. 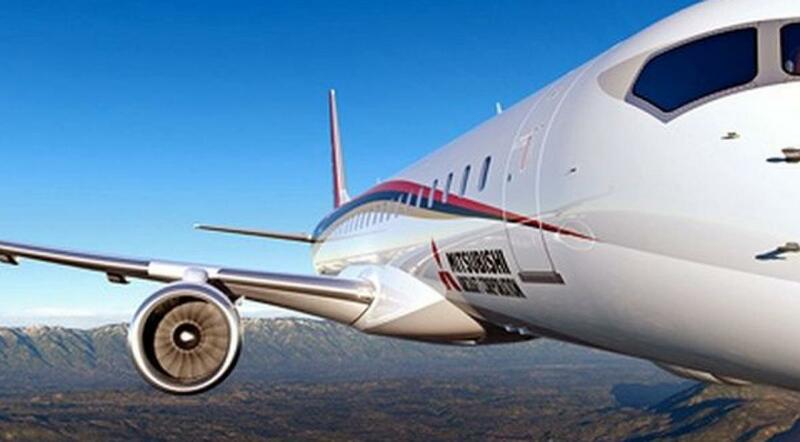 Mitsubishi pushed back the jet's first flight by a few months but said the delay would not affect its planned commercial deliveries. The project reflects a desire to turn Japan's modern engineering and manufacturing prowess into a top-tier aircraft industry, some 70 years after Japan suspended making planes following its defeat in World War II. Mitsubishi Heavy Industries and other major manufacturers are key suppliers for many aircraft parts and systems. But in building the 70- to 90-seat Mitsubishi regional jet a large share of the components came from leading foreign suppliers. Mitsubishi faces a stiff challenge in competing with Brazil's Embraer, which dominates the difficult regional jet market, analysts say.